Nationwide, municipalities regularly deal with the issue of infrastructure deterioration. One of the most common types being the constant appearance of water leaks. 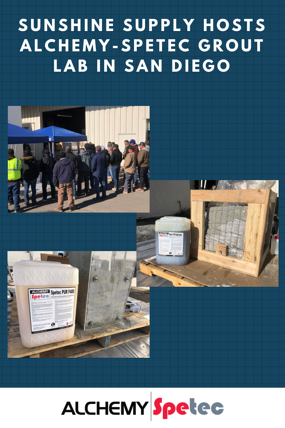 Active leaks, when untreated, can cause an accelerated deterioration of reinforcement within concrete, as well as settlement issues caused by voids below and next to structures. 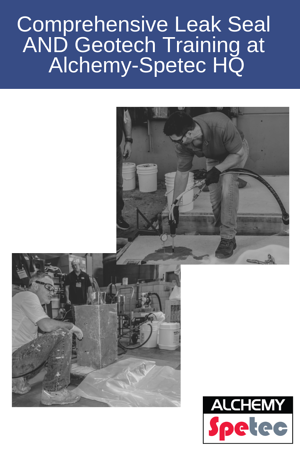 The purpose of this article is to illustrate how polyurethane injection can be used as a preventative measure to prevent more serious problems. 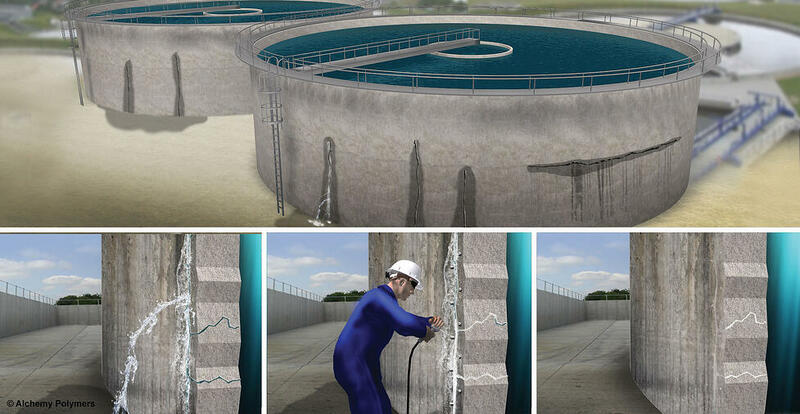 This graphic depicts the polyurethane leak seal process when applied to the wall of a water tank. Our leak seal resin, Spetec PUR GT500, reacts when it comes into contact with water. It bonds to concrete in a durable manner, yet remains flexible so as not to crack if the concrete shifts in the future. High pressure injection insures that every part of the crack is filled and permanently sealed. This product is certified To NSF 61-5 (approved for contact with drinking water). This graphic depicts the process when applied to a larger leak with a void in the soil on the other side. 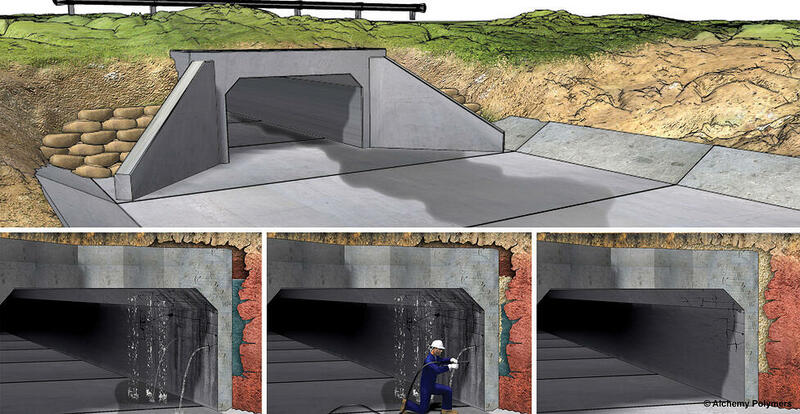 While the graphic depicts a box culvert, voids like this can develop next to water tanks that are built against a hillside, manholes, pipes, etc. Spetec PUR H200 is used to fill the void and stop the gushing leak in the process. This product is certified To NSF 61-5 (approved for contact with drinking water). Another common issue is leaks around the bases of equalization tanks. 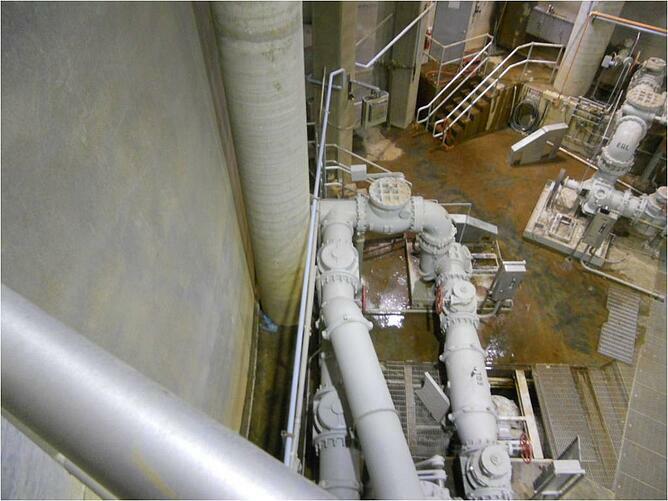 This untreated water can present a hazard to employees. Left unaddressed, it just costs more and more money to keep pumping this water back out. Regardless of the leak seal issue at hand, one thing is certain: left untreated it will cost more money and do more damage in the long run. In this case the old adage “An Ounce of Prevention is Worth a Pound of Cure” is completely appropriate. Are you a municipal manager facing any of these issues? Technical Consultants at Alchemy-Spetec have a great deal of experience with leak seal solutions for municipalities. Call us at 404-618-0436. 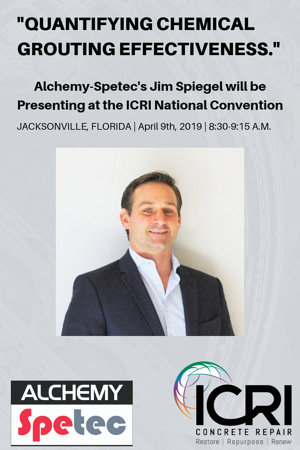 Alchemy-Spetec's Jim Spiegel will be presenting at the ICRI National Convention at the Omni Jacksonville Hotel on Tuesday, April 9th, 2019 from 8:30-9:15am. 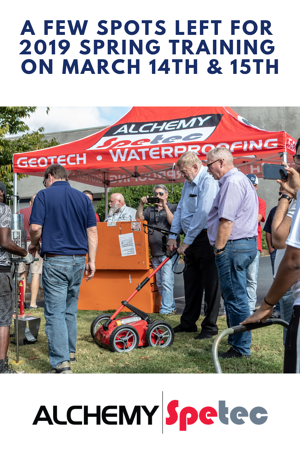 The topic of the technical session will be, Quantifying Chemical Grouting Effectiveness. 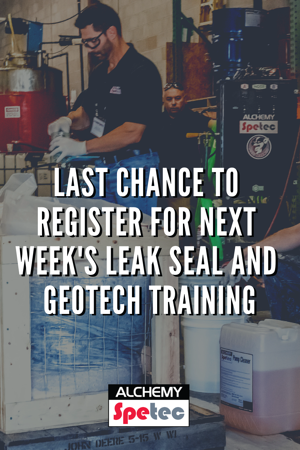 During this technical session, attendees can learn about an innovative and new approach to chemical grouting leak seal applications with insights through industry norms, new technologies, and case studies implementing these systems. Jim currently sits on the National ICRI Board of Directors as an at-large member, and has served a 2-year term as Southern CA Chapter President. He is active in the 710.e Grouting, Certification, and Education Committees. Click here for the full schedule of technical sessions, and details on the ICRI Spring National Convention. 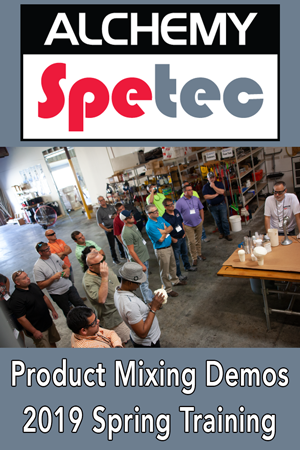 Want an Alchemy-Spetec leak seal grout lab in your area? Find your local product distributor and ask them to call us! 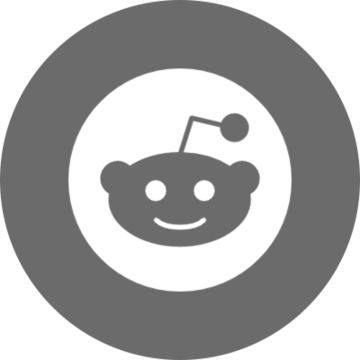 Don’t want to wait? 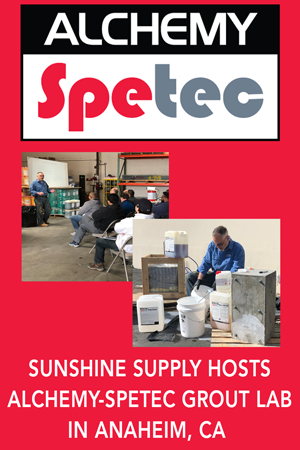 Travel to the Atlanta area for the next Alchemy-Spetec contractor training on March 14th and 15th at our headquarters. 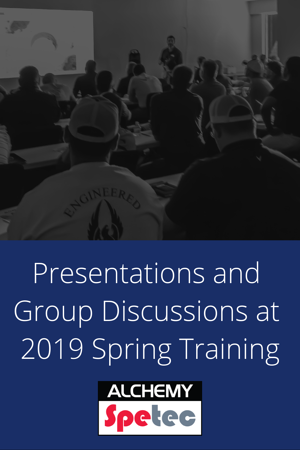 Click here for more information on the Atlanta-area training program! Want more info on Alchemy-Spetec leak seal products?